The 4Loads application consists of the 4Loads Mobile Server and a 4Loads Mobile Client (app). The Server synchronizes field data and updated information with Mobile Client applications built using the Trimble Forestry Mobile Solution Framework. The Trimble Forestry Mobile Solution Framework is used to quickly update handheld forms and drop down values, such as Mill Location or Contract ID. Combined this solution provides a powerful tool that enables visibility to all stakeholders in the supply chain. The process begins at the harvest site. The 4Loads app user (loader operator, truck driver, harvest supervisor, etc.) simply enters the load information, which is then synchronized to the 4Loads Mobile Server for easy access by administrators or anyone with rights to view the data. As loads are delivered, the load can be completed by entering in the appropriate data and validating that entry with an image of the receipt. Load data can be exported on a daily or weekly basis for quick reconciliation. 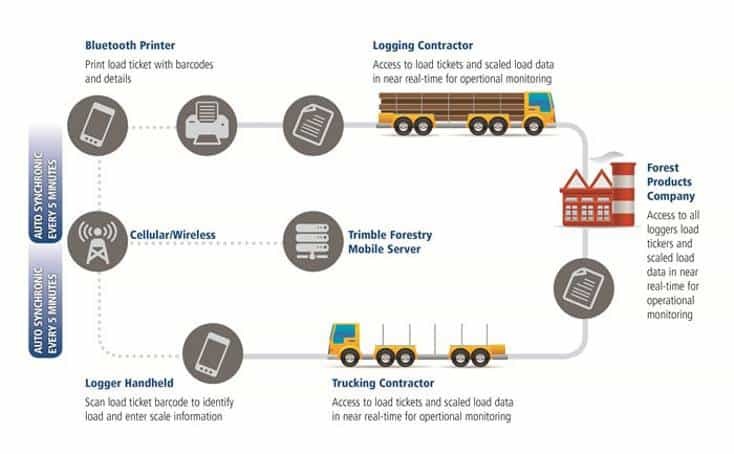 Whether the need for change is due to increased volumes of information, increased frequency of transactions, or a need for better timber security Trimble Forestry Mobile can help. 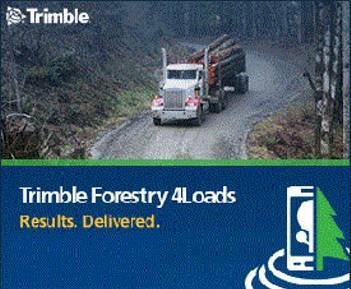 Companies that are ready to reduce data entry, obtain critical information faster, improve accounting accuracy, timber security, payment accuracy will quickly benefit from implementing a Trimble Forestry Mobile application such as 4Loads. For more information contact Steven Stuart at (662) 694-9039.